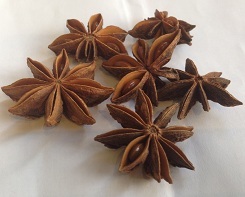 Star Anise, also called Chinese Anise, is the eight-point star-shaped fruit of an evergreen tree. This tree can bare its fruit for about a hundred years. 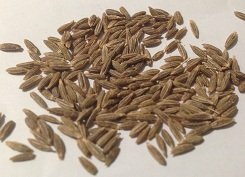 There is a seed within each of the star’s points, and both the seed and its star-shaped husk are grinded up to make the ground version of the spice. In Chinese cooking, the whole spice is usually used. This spice is an essential ingredient in Chinese Five Spice blends. Although stronger in licorice aroma and taste, Star Anise is quite similar to Anise seed. Like whole Nutmeg, whole Star Anise can be kept and used for years, if stored in an airtight container away from light exposure. 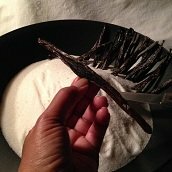 What is the Origin of Star Anise? Indigenous to China, and cultivated and grown in China and Japan. 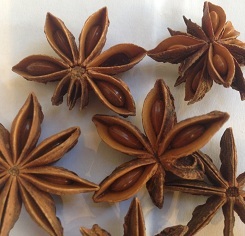 Star Anise is used to flavor liquors like anisette, and is good for chicken, duck and pork. This spice is used primarily for Chinese and Vietnamese cooking. You can kick up a notch or two the spicy sweet Chinese flavoring of your chicken or duck by putting a Star Anise into the bird’s cavity before roasting it. What Are the Health Benefits of Star Anise? 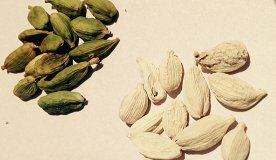 This spice can be used to freshen your breath by sucking one of the stars. Also, it is considered a stimulant and a diuretic.